The Gold Rush and I go waaaay back. I will leave it to my readers to decide how precocious (Popecocious?) I was as a lad, but in the spirit of the season I offer this vignette. I remember wishing and wishing and wishing and wishing for a Super 8mm movie projector from the Sears Catalog at Christmastime. I was eight years old. This would have been 1970; home video and cable television were not part of my world. The local library (my second home) had many 8mm films that patrons could check out on their library cards. This was back when the AV Department consisted of vinyl records, microfilm of newspapers and magazines, and me. Santa came through. I got the projector, though I would have to wait for my February birthday to get the screen because “Santa was not made of money.” In the meantime, I hung a bed sheet in the basement. I lived down there for the next seven years, screening films I had checked out of the library. My two favorites were Nosferatu and The Gold Rush. I would say conservatively that I have seen those two films three or four hundred times apiece. Such was my devotion to this hobby that I still remember the distinctive aroma that came from running celluloid past that impossibly hot projector bulb. It was the musky, pervasive, plastic-y smell of happiness. 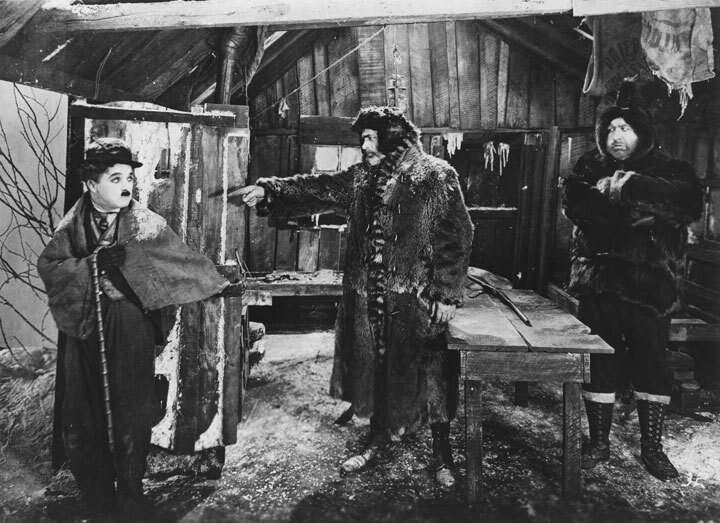 The Plot in Brief: Chaplin’s tramp character (here called The Lone Prospector) is lured to the snowy Klondike by the promise of gold. He meets and befriends two other prospectors, Big Jim McKay (Mack Swain) and Black Larsen (Tom Murray), both of whom will play a big part in his future. The tramp also meets and falls in love with dance-hall girl Georgia (Georgia Hale). Will the tramp strike gold? Will he win the girl’s heart? 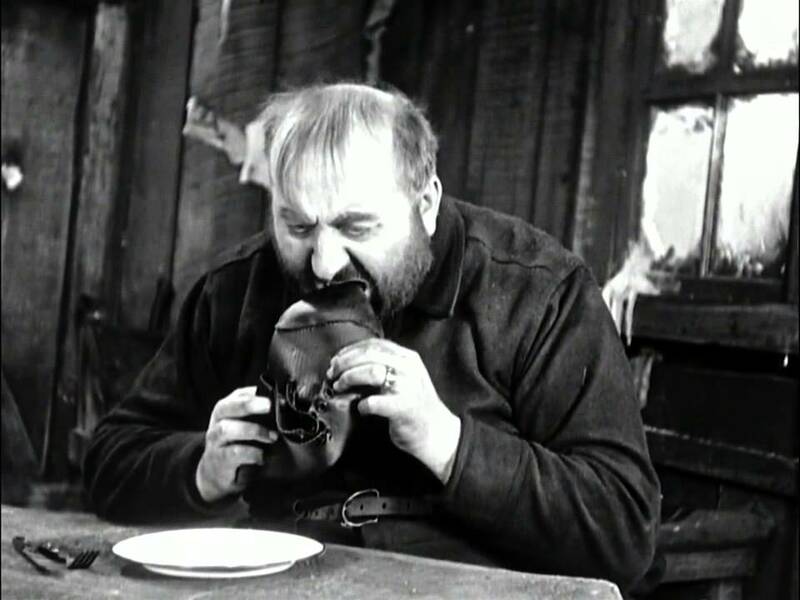 What does a leather shoe taste like when it is boiled and eaten? 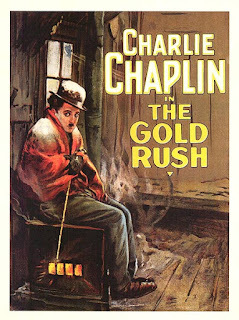 I think that The Gold Rush is Chaplin’s best film. Sure, there are plenty of nominees for that position. In a previous lifetime, I taught a high-school Film Studies class and felt it was my duty to introduce students to Charlie Chaplin and Buster Keaton. Like many silent-film-loving teachers, I would assign a compare/contrast paper inviting students to discuss the two filmmakers. The Gold Rush is Chaplin’s best film because it most effectively integrates everything he did best: incorporating pathos into an otherwise comic narrative, focusing on Chaplin’s “Little Tramp” character without sacrificing the larger narrative, and showcasing Chaplin’s astounding skill as a physical comedian. The love story is integral to the plot and does not seem an afterthought. The comic sequences and gags emerge organically from the story. The happy ending does not seem like a dream or a cheat or a mere shrug of Chaplin’s shoulders. The recent BFI monograph on the film goes into fascinating detail regarding the film’s twisted provenance. 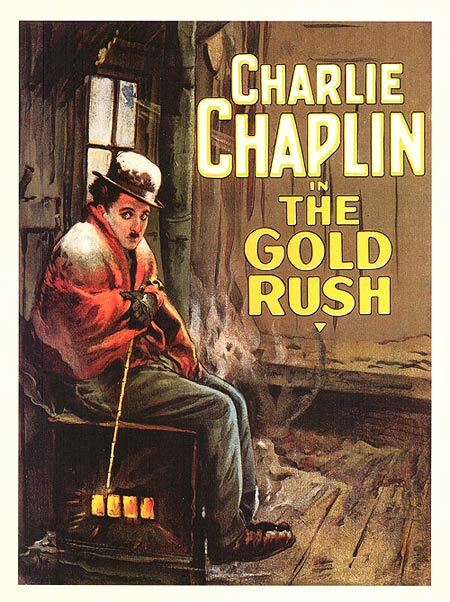 The Gold Rush was released in 1925; Chaplin later prepared a sound version in 1942, featuring a new score he had written himself and narration replacing all the inter-titles. When this version proved to be a hit, Chaplin let the silent version’s original copyright lapse. It fell into the public domain, which led to decades of compromised versions of the original being shown and sold. 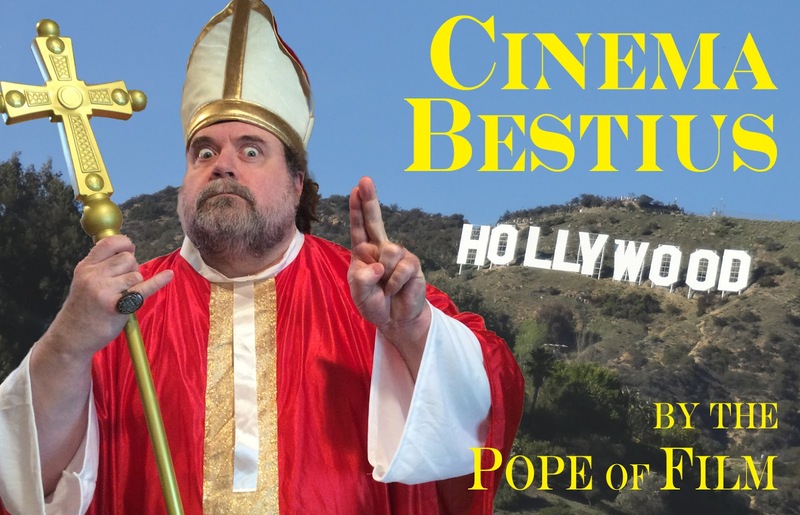 Distributors made copies from copies; ignored Chaplin’s rigid quality control standards; and screened, copied, and sold prints and VHS tapes that quickly became eyesores and fodder for Walgreen’s $1 bin. This fascinating monograph ponders the changes wrought to Chaplin’s original and asks probing questions about what the “official” version of any film can ever claim to be. The three best sequences in the film are the banquet scene described above, a party scene where Chaplin transforms dinner rolls into dancing shoes and performs the “Oceana Roll,” and the famous tipping cabin sequence. 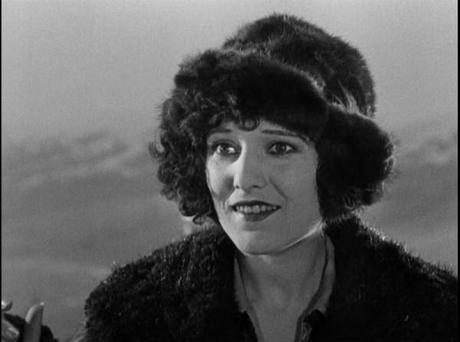 Some critics have accused Chaplin of sloppy filmmaking, focusing more on performance than on sets, lighting, or camera work, but the tipping cabin gives lie to that criticism. 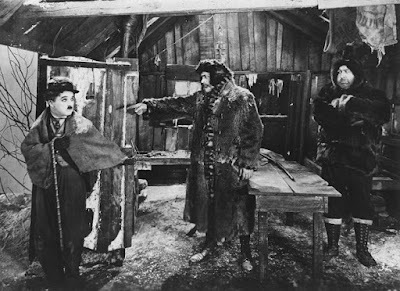 The Gold Rush’s three miracles: an awesome synthesis of hilarity and heartbreak, tremendous supporting performances, and gag sequences that are still laugh-out-loud funny 91 years after the fact. This is a funny, funny film. In nomine Chaplin, et Charlie, y spiritu little tramp, Amen. I have only ever seen The Gold Rush once, when I purchased the Criterion blu ray (which is exceptional) and remember being in awe in one hand and thoroughly saddened in the other. In fact, the film left me so sad, I have yet to actually return to watch again - something I should really remedy. Great article, as always.